It probably won’t come as a surprise to a lot of people who saw X-Men Origins: Wolverine, but Aronofsky and Marvel will be taking a different approach with the latest Wolverine film. Aronofsky has told press that the film will be “very different” from the original, and will be a one off story titled, The Wolverine. 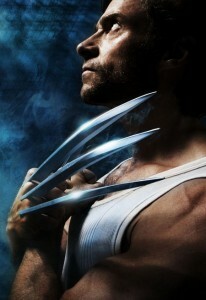 Despite the star of the film being the same, The Wolverine is being billed more as a reboot than a sequel. The studio and Aronofsky look to be taking a step back from 2009’s X-Men Origins: Wolverine which was almost universally panned by critics and audiences alike (despite taking in a colossal first weekend at the box office). I’m really glad the makers of this film are taking a different route, because Origins was one of the worst comic book films in recent memory. However, it is going to be very hard to distance themselves from something so recent. Unlike Hulk, who had different stars in its reboots, Wolverine will still be using the originator of the on screen role, Hugh Jackman. Unfortunately, there is no one better to step in his shoes, and they will have to suffer the stigma of creating such an unworthy first adventure in the stand alone tales of Wolverine.